The charting of price movements creates a visual tug-of-war between buyers and sellers. 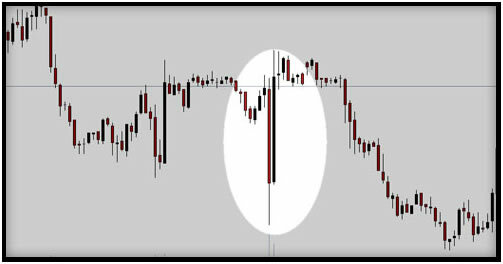 The large majority of Technical traders in the Forex market focus their attention on candlestick data, a method of charting that offers a visual interpretation of the high, low, open and close of a currency price within a certain time frame. Combined with various forms of pattern recognition (which will be covered later in the course) candlestick charting offers traders a visual look at the market's past prices and trends. Analyzing this historical data in order to predict the movements of future prices is the process known as "technical analysis". 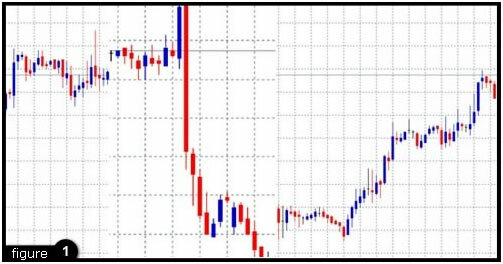 Notice how price patterns formed on the following chart tend to repeat; technical traders attempt to identify patterns of these nature, and base their trades accordingly.